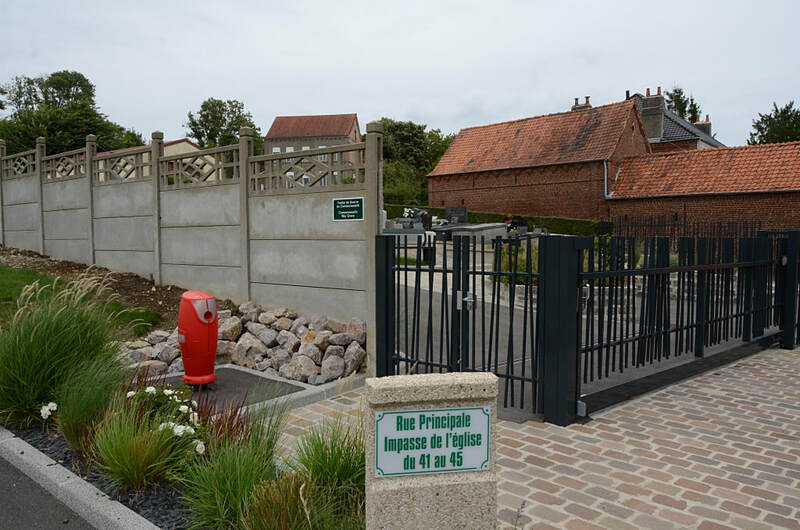 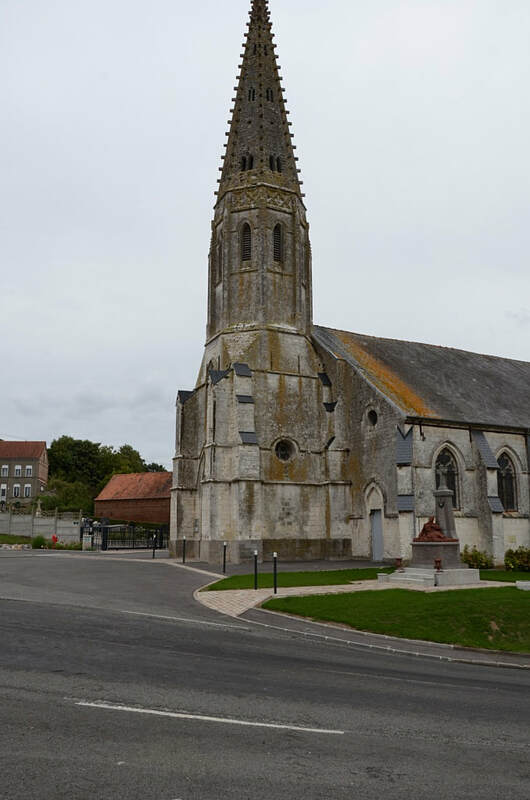 Thiembronne is a small village in the Department of the Pas-de-Calais some 25 kilometres south-west of St Omer. 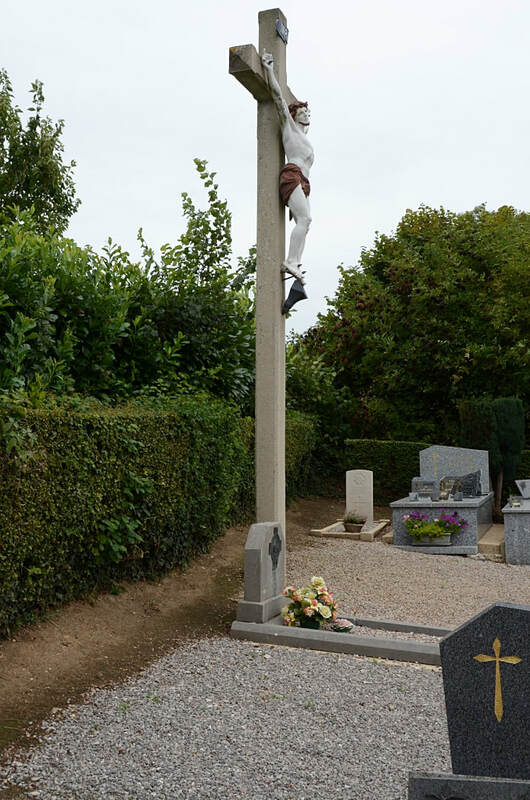 The cemetery is situated on the north side of the church in the centre of the village, and the war graves will be found in the top right hand corner of the cemetery. 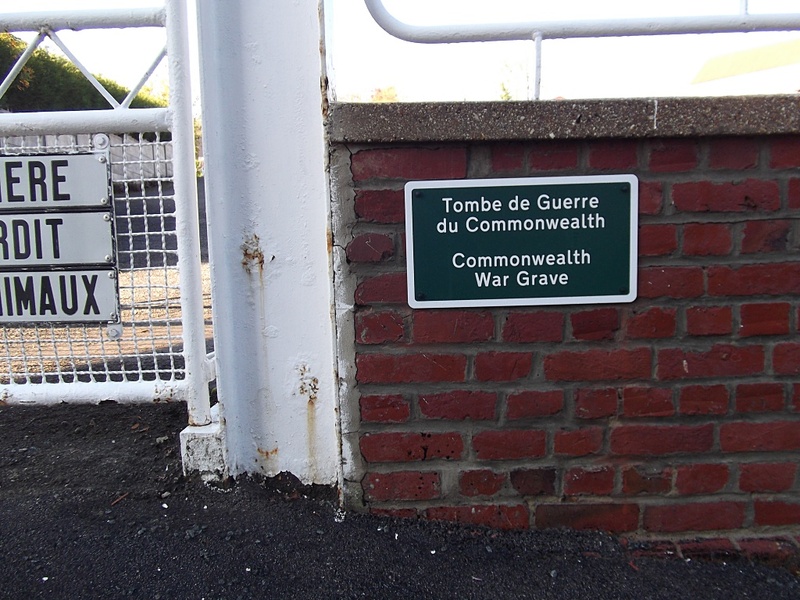 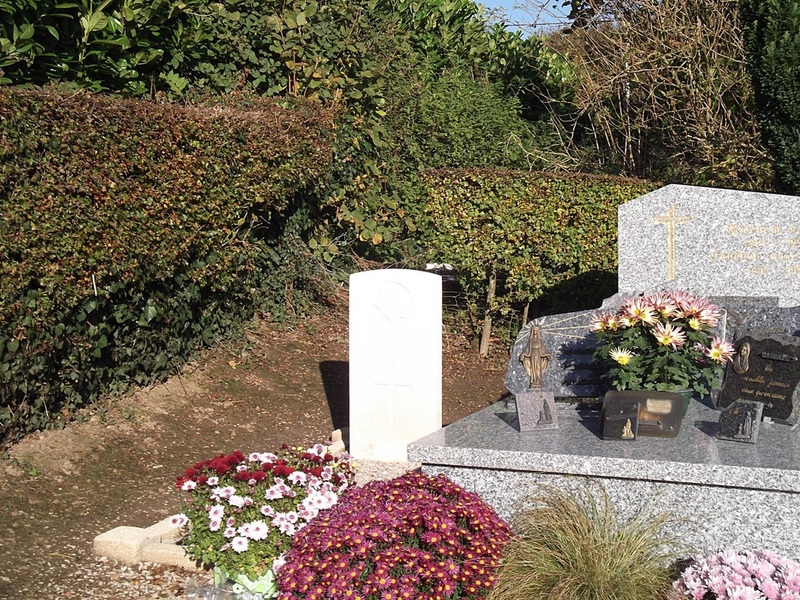 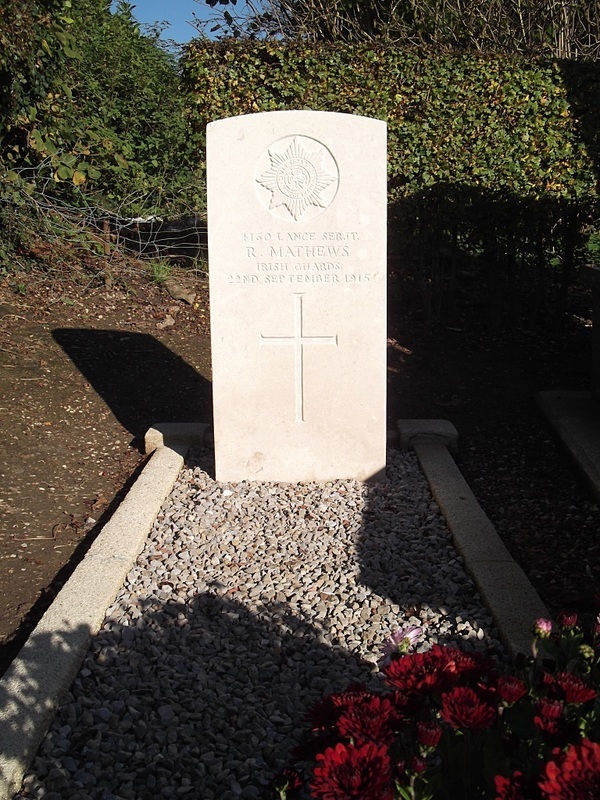 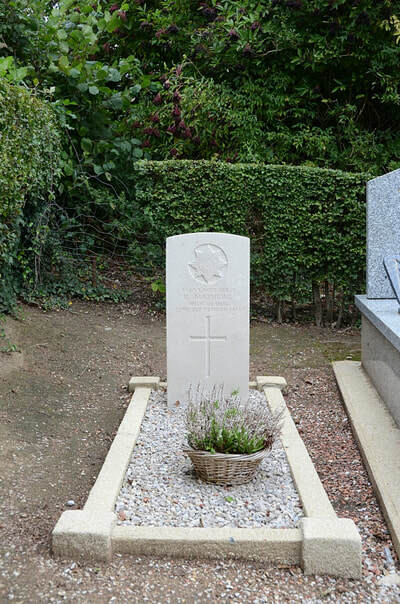 Thiembronne Communal Cemetery contains one Commonwealth burial of the First World War. 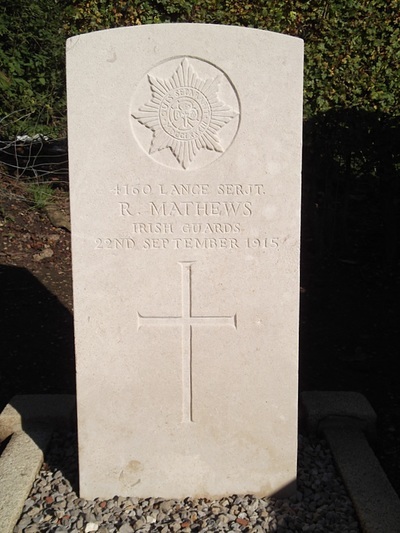 4160 Lance Serjeant Roger Mathews, 1st Bn. 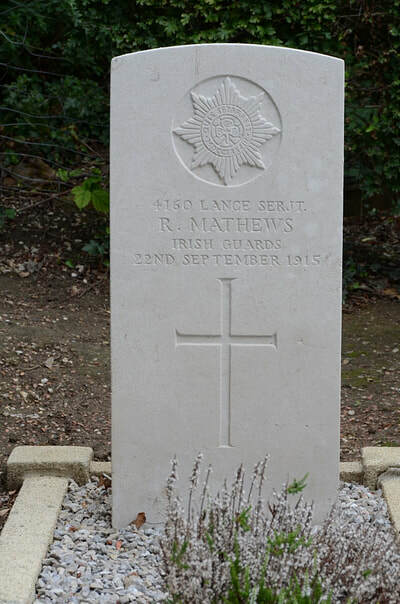 Irish Guards, died 22nd September 1915. Born Cork, lived Widnes.